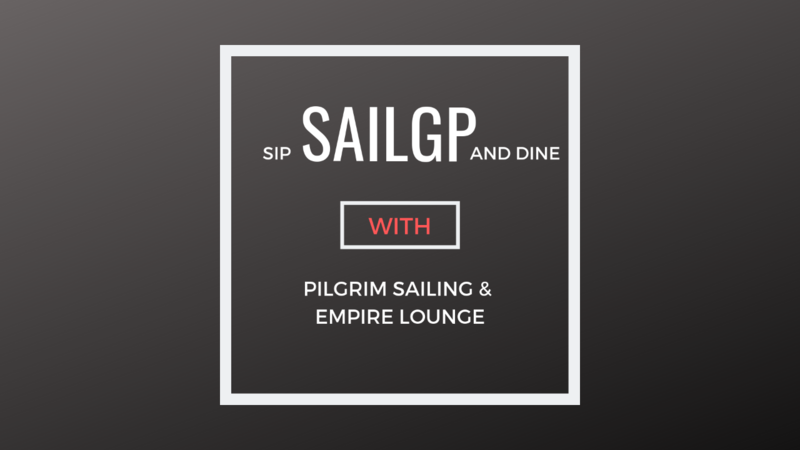 Pilgrim Sailing and the Empire Lounge is offering a spectacular way to experience the inaugural SailGP challenge on Sydney Harbour on 15th and 16 February 2019. The package includes approximately 2 hours on board Pilgrim watching the fleet racing around Shark Island. During the races you'll enjoy a selection of Tamburlaine Organic Wines and Young Henry brews and a local cheese platter. After the racing you'll return to Rose Bay for a two course dinner at the Empire Lounge (at the Sydney Seaplanes terminal) in the hub of the SailGP action. SailGP is sailing redefined. Established in 2018 and headquartered in London and San Francisco, SailGP is an annual, global sports league featuring bold, cutting-edge technology and awe-inspiring athleticism. The fan-centric, inshore racing takes place in some of the most iconic harbors around the globe with Sydney Harbour hosting the inaugural event in February 2019. Rival national teams battle it out in identical supercharged F50 catamarans, engineered for intense racing at electrifying speeds exceeding 50 knots (nearly 60 mph/100 kph). The six teams for the inaugural SailGP season feature some of the best young talent in the sport, with more than a few accomplished veterans sprinkled across the crew lists as well. With a strong nationality component to the circuit, many of the sailing teams are 100% national and feature Olympic stars, match race tour champions and America’s Cup winners. SailGP is a best-on-best competition and the talent pool reflects that ethos. Talented, athletic and hyper-competitive, the sailors comprise some of the top athletes in our sport. And each will be pushed to their limits and beyond as they seek glory on the top circuit in sailing. Teams are Great Britain, Australia, United States, France, China and Japan. Personal and intimate experience on board Pilgrim with a small number of guests. Departing from Rose Bay Public Wharf, ROSE BAY. Rose Bay Public Wharf is next to the Rose Bay Ferry Wharf, Lyne Park off New South Head Road. After the cruise, Pilgrim will return to Rose Bay Public Wharf at Rose Bay a stones throw away from the Empire Lounge where your dinner is booked. Also includes glass of house wine, prosecco or beer. Please note we have a minimum of six guests for the #Sip,SailGP and Dine.